Are you looking for ways to improve the look and value of your home? Do you find yourself constantly dealing with leaks, internal flooding storm damage, drafts, bugs/critters in your ceiling space, panels or tiles coming loose, moss or debris being caught? Want a high impact, cost effective solution? Then you need to call us! We provide cleaning, repairs, replacements and roof restoration Blackburn wide. 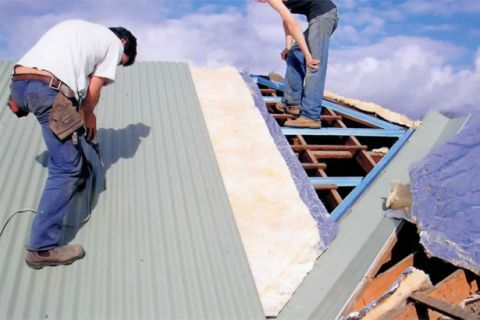 Our team are highly trained and experienced, and work only with the highest quality roofing materials (including Colorbond steel, which can be colour matched to your needs). We always operate according to WorkSafe requirements, and our staff will make sure to clean up after a project is done, so you needn't worry about leftover materials, nails etc. To top that all off, you get a ten year guarantee on workmanship! For more information or to get a free quote, call us on (03) 9038 8110.